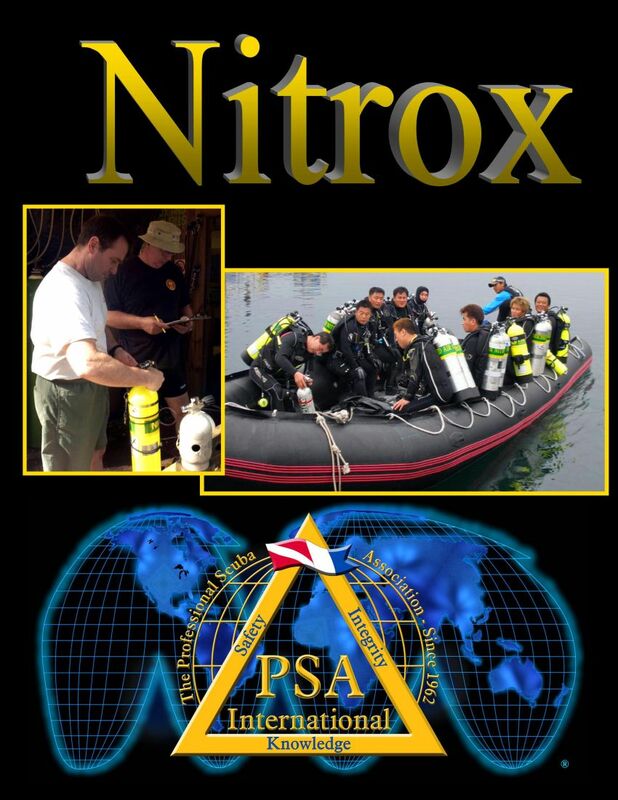 The PSAINitrox Diver course is designed for divers who wish to utilize enriched air (Nitrox) at oxygen concentrations up to and including 40% oxygen by volume. The Definition and Benefits of Nitrox. The Physic and Math of Nitrox. Nitrox and the Use of Nitrox Dive Tables. Labeling Cylinders for Nitrox Use. Determining the Appropriate Nitrox Blend for Planned Dives. PSAI Tables and Charts for Air and Nitrox Dive Planning.